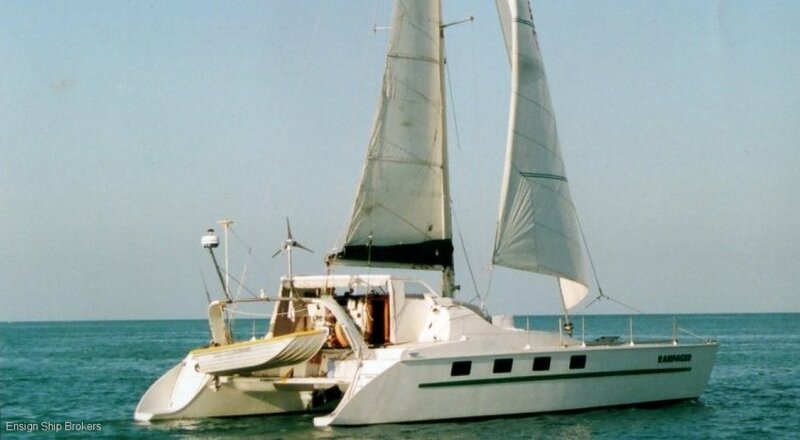 Australian registered, one-owner John Gross designed sailing cat with transoms extended to 46’. Get there fast then take it slow. 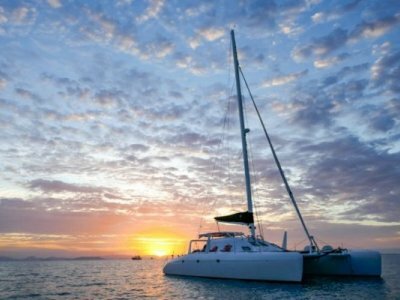 KISS – keep it simple, sailor – means spend your time enjoying the destination, not repairing systems! 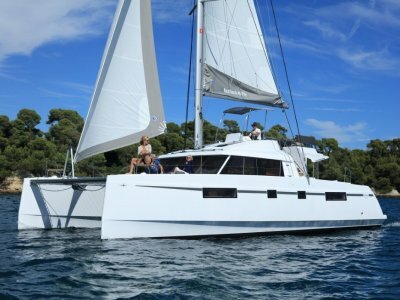 With a single daggerboard, single Yanmar with raiseable saildrive leg, and 2 queen cabins with their own heads, this vessel brings all the benefits of a sailing cat with none of the drawbacks –stable platform, flat, fast sailing, huge social cockpit, shallow draft, and the space for comfortable live-aboard/extended cruising without complex system repair and maintenance. 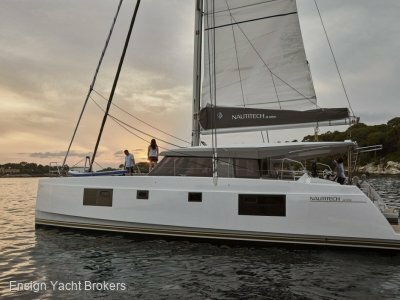 Extensively cruised to the Kimberly, Whitsundays and other Australian destinations with full cockpit enclosure, large tanks,battery bank, solar, wind gen, genset and watermaker, this light, fast cat has proved herself easy to handle short handed. The single Yanmar reduces mechanical maintenance overhead, and the saildrive raises to reduce drag underway, minimise underwater entanglement/strike threat, and reduces maintenance by lifting clear of the water. In conjunction with her solid GRP hulls, daggerboard and kick-up rudders this also enables her to take the ground safely. 2 cabin 2 head layout also enables a large workable galley, workshop area and plenty of stowage, with a forward deck lounging area providing a safe, social alternative to the cockpit or saloon, as well as excellent stowage for surfboards, kayaks, SUPs, etc. 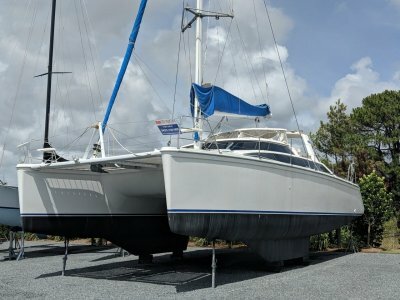 This comprehensively equipped, one owner vesselhits all the marks and she’s ready to go again – a very affordable, comfortable cruising cat with ample space and plenty of storage. Just bring your suitcase and plenty of sunscreen. LAYOUT: 4-Burner gas stove / oven & grill, Microwave, Sink.